Properties in TK Soulane Ski Lift average 4.5 out of 5 stars. T2 bis apartment with private parking, on the slopes, renovated. Property 9: T2 bis apartment with private parking, on the slopes, renovated. 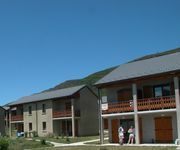 Cozy and bright apartment in the heart of Font Romeu / 6 pers / WIFI. Property 12: Cozy and bright apartment in the heart of Font Romeu / 6 pers / WIFI. Appt town center 65m ². Beautiful view of the mountains. Ideal 5 pers. Property 15: Appt town center 65m ². Beautiful view of the mountains. Ideal 5 pers. Les Angles: Apartment 1 Residence Les Madres - Appartement 1 Résidence "Les Madres"
Property 33: Les Angles: Apartment 1 Residence Les Madres - Appartement 1 Résidence "Les Madres"
duplex south facing apartment with balcony and garage and front location. Property 49: duplex south facing apartment with balcony and garage and front location. We were only looking for a one-night place to stay while travelling further to the South. Everything was correct and as expected. No luxury, no fancy stuff, but a cool place to spend a night. Access to the swimming pool was much appreciated after a 12-hours drive at &gt;30&deg;C. Easy to check-in, easy to check-out 24/24, which was essential when leaving at 4 in the morning. I'd do it again for the same price! D&eacute;j&agrave;, le nom de la rue..!! !un r&eacute;gal! Tout en rez de chauss&eacute;e ,tout neuf ,tout moderne , nickel. 2 chambres, pas tr&egrave;s grandes mais beaux rangements et grands lits tr&egrave;s confortables . Equipement domestique complet et plut&ocirc;t joli (neuf !) A 1 mn &agrave; pied de la piste qu'on prend au milieu et retour &agrave; ski directement &agrave; la porte du chalet... Environnement charmant,espace bois&eacute; ,id&eacute;al pour les enfants.